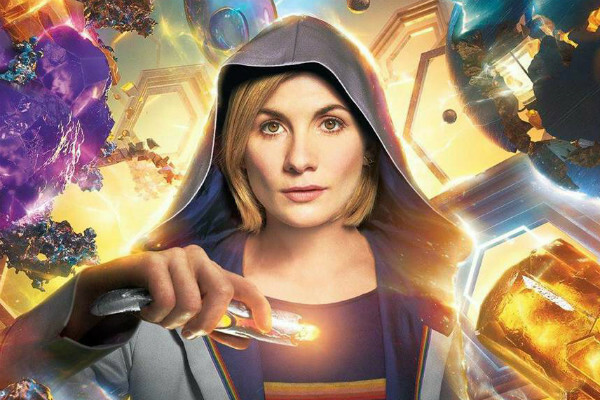 The countdown to new Doctor Who has well and truly begun, and the BBC marketing team has started to kick into overdrive with some more tantalising details regarding the debut season of Jodie Whittaker‘s Doctor. 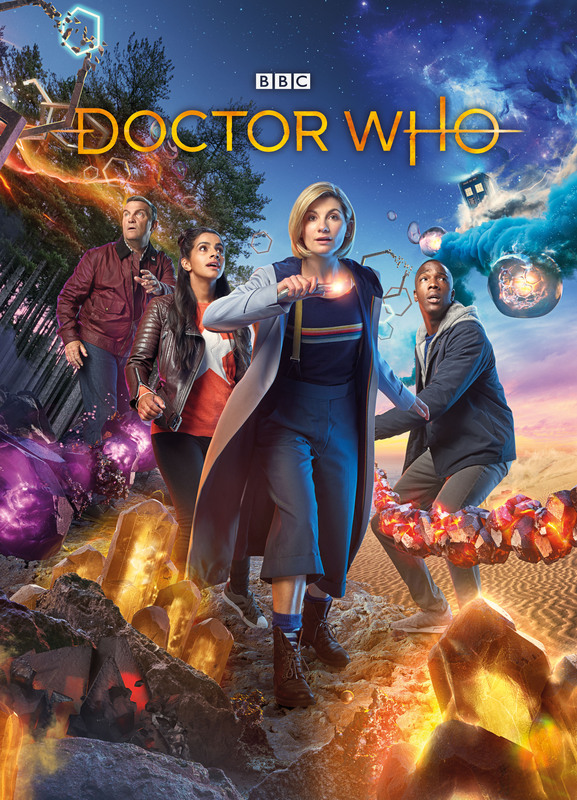 Bigger and bolder than ever, this series marks the arrival of Jodie Whittaker, the Thirteenth Doctor – a super-smart force of nature, alongside a team of new and delightful characters. This series is full of action and adventure, humour and thrills – an unmissable drama everyone will enjoy. 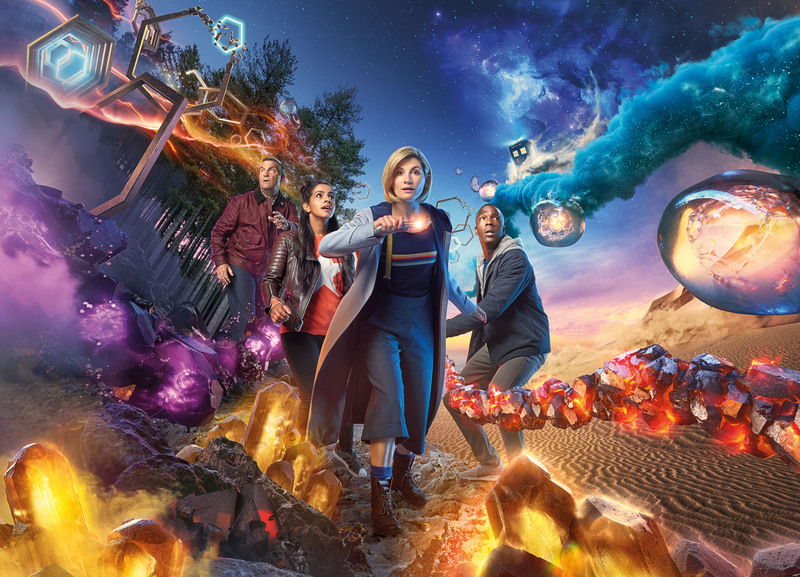 The series showrunner, Chris Chibnall, said: “Finally – Jodie Whittaker’s Thirteenth Doctor is about to crash land on to the nation’s screens. It’s thrilling to think, in the next few weeks and months, there will be children encountering Jodie’s Doctor in the next few weeks who’ve never seen the show before. She’ll be forever their Doctor: you never forget your first. Why should viewers tune in this series? If you’ve never seen the show before this is a great season to start with. It doesn’t need an encyclopedic knowledge of Doctor Who to get into it. We wanted to make a series that was very inclusive because for people like me, we’re all very new Whovians as well. We’re introduced into this world as new fans will be on this season. What do fans have to look forward to this series? If you’re a fan of the show already, it’s got everything you expect. It’s got new monsters, it’s got fantastic new worlds. It’s also got worlds that we’re familiar with, but are maybe seen from different points of view. It honours everything that has gone before, but it then has a different burst of energy with all the new cast members. Doctor Who is for everyone and anyone. What journey do the characters go on this series? This season is ten stand­alone episodes so you have contained storylines within every episode. So you have a huge series character arc for many of the characters. But if you come in at episode five, you’ll get a stand-alone story which feels like a film, and which stands up amongst all the television that’s available to anyone now. Friendship and loyalty and survival. All things that are very human, interlaced with things that are very far from human and familiar. It’s a very inclusive world. When I watch TV and film I want to feel engrossed and excited, particularly in this world and genre. Doctor Who in itself is its own genre. I suppose you want it to feel like a roller coaster ride! Do viewers need to have seen Doctor Who before to enjoy this series? Not at all. This series is the perfect stepping on point. With the new Doctor you’ve got a new beginning, a new opportunity for people to join the show as viewers, for people who might have drifted away or haven’t seen the show for a few years, or 10 years or 20 years; it’s a great time to remind people of how amazing Doctor Who is and to have a restart. But also, it’s a great time for a new generation of children and families to start the habit of gathering around the television together to watch this funny, scary, extraordinary show! 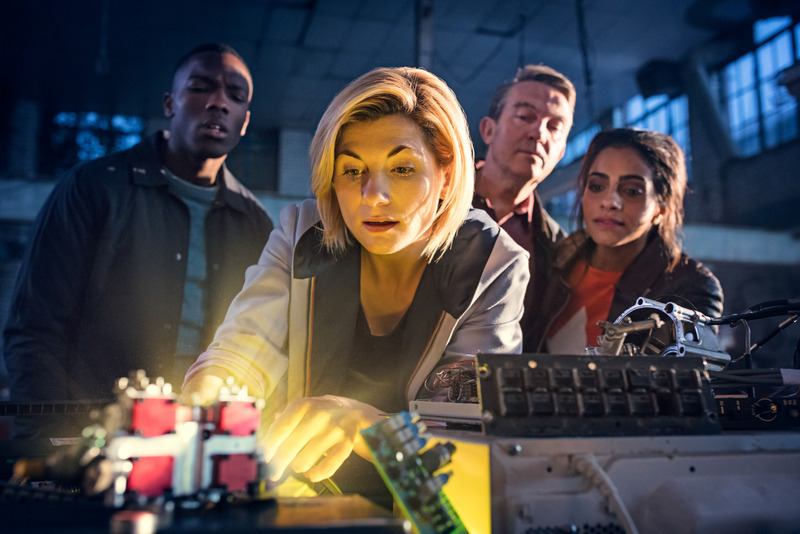 It’s not a reboot it’s just that great, unique thing which is built into Doctor Who: a fresh start happens every few years. This is no different to when Tom Baker changed to Peter Davison, or when the show went from black and white to colour, with Patrick Troughton handing over to Jon Pertwee. The show has a history of renewal, while also staying faithful to what it is. It’s the amazing thing about Doctor Who is this fresh start every few years which brings a whole new jolt of energy to the show. And hopefully encourages the next generation of audiences to try the show, while also reminding existing audiences why they love it. Casting a new actor also brings in new opportunities to think about where the show is, think about where the world is, think about where you might want the stories to go. I hope we’ve got a fresh set of stories that are engaged with, and resonate with, the world we live in now. What can viewers expect this series? You can expect emotion, you can expect action and adventure and monsters and far off planets and huge alien vistas. You can expect a lot of humour, a lot of warmth and some great characters. Four great new friends for you to meet as they go through past, present and future and meet some incredible people from history and go and battle on alien planets and fight threats closer to home. It’s really a whole array of different stories. 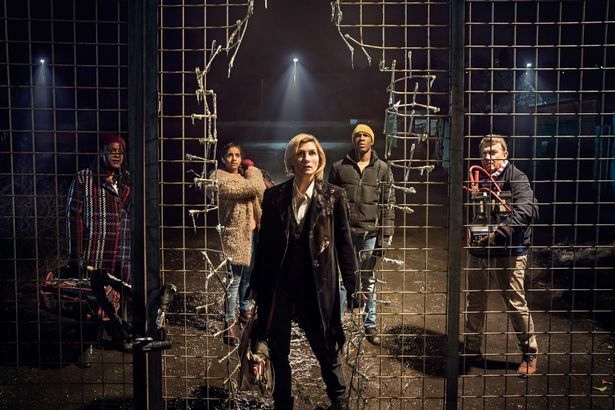 Ten individual stories that show off the range of the Thirteenth Doctor and her friends but also of the show as a whole. I hope you can expect everything you’ve ever loved about Doctor Who. More than anything, it’s hopefully incredibly entertaining and I think this series has something for absolutely everyone. If you’ve seen Doctor Who before I hope we’re going to be giving you all the stuff you love. If you’ve never seen it before, this is the place to start and I think you’re in for a rollicking ride. Have you enjoyed being part of this year’s ensemble cast? I love being part of an ensemble. I love it. Jodie leads from the front and she’s fun and she’s upbeat and she keeps it all together – it’s great. Working with Jodie, Mandip and Tosin and the different directors that are coming in, and this fantastic crew – that’s the thing I’m enjoying most about being on Doctor Who. How do you think audiences will react to the Thirteenth Doctor? I think they’re going to be excited by Jodie and I’ll tell you for why… Not only is she an exceptional actress, the energy she brings, because she’s still so young, the energy she brings is extraordinary. To keep up with her is hard work! Describe the show in a sentence. This new dawn for Doctor Who will be ground­ breaking and exciting and fantastic and unpredictable! Doctor Who Series 11 debuts on BBC One on Sunday 7th October. 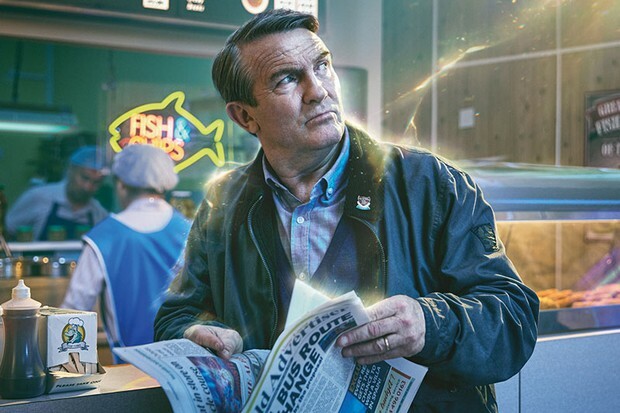 Tags: BBC, BBC One, Bradley Walsh, Chris Chibnall, Doctor Who, Doctor Who Series 11, Doctor Who Series Blog, Jodie Whittaker, Mandip Gill, Tosin Cole. Bookmark the permalink.